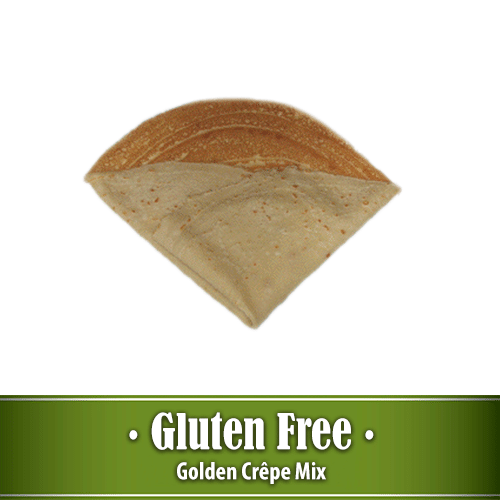 Alamarra gluten free Golden Crêpe Mix includes vanilla along with more eggs and sugar. 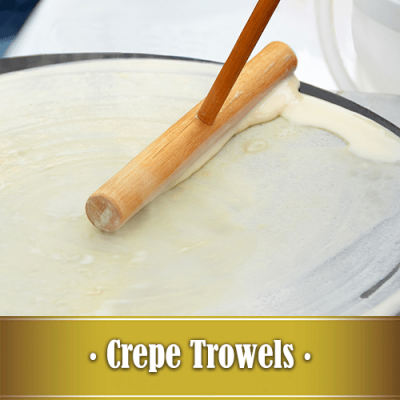 This mix makes an unbelievably rich and addictively delicious gluten free sweet crêpe. 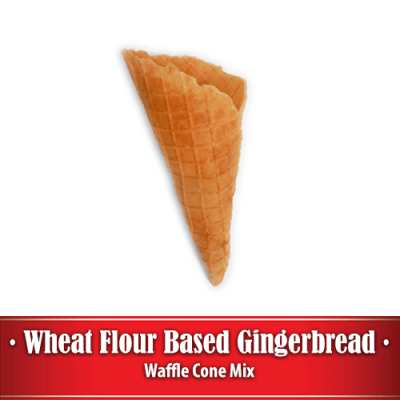 One cup of mix added to 2/3 cup of water will make a perfect batter. 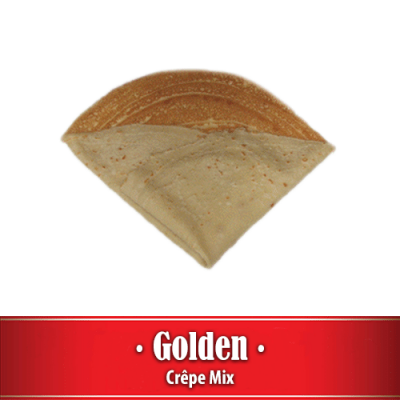 Golden crepes readily caramelize and are perfect for crêpes suzette. Trans-fat free, preservative free, soy products free, and GMO free. A 10.5 pound package can make 47 fifteen inch diameter gluten free crêpes. A 50 pound package can make 246 fifteen inch gluten free crêpes. Every batch of gluten free mix is made and packaged in a gluten free facility and tested with an EZ Gluten test to assure less than 10 parts per million gluten.